Dark Horse and 20th Century Fox are giving we Scoobies something fresh to munch on with Buffy the Vampire Slayer: Giles. Buffy the Vampire Slayer creator Joss Whedon and Erika Alexander (Concrete Park) unite to pen the new miniseries, while artist Jon Lam (Gotham Academy, Batgirl) joins the Whedonverse for the first time. Colorist Dan Jackson (Buffy the Vampire Slayer Season 10) brings the story to life. 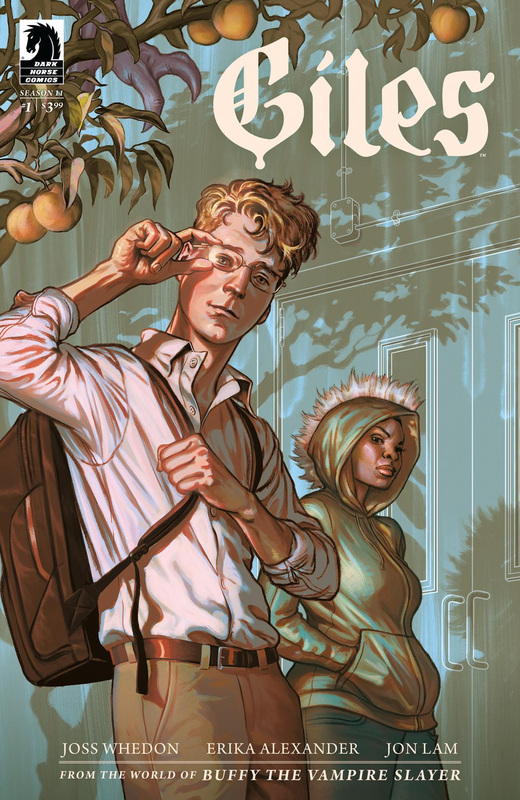 Steve Morris (Buffy the Vampire Slayer Season 11) and Arielle Jovellanos (Fresh Romance) create gorgeous covers and variant covers for the four-issue miniseries. Buffy the Vampire Slayer: Giles finds Rupert Giles returning to high school! But this time—as a grown man living in a teenage body—Giles will be a student instead of a teacher. At an inner-city Los Angeles school, when a mystical influence is detected and teachers start to go missing, Giles enrolls to investigate. What he finds is more than vampires and demons . . . something unusual and frightening is happening here. If Giles can get through one day as a student, he’ll have a chance to find out who, what, and where, but high school is still hell. The first issue of Buffy the Vampire Slayer: Giles goes on sale February 28, 2018 and is available for preorder at your local comic shop. Visit DarkHorse.com for more information. Batman Ninja: Time Travel, Giant Mecha, and The Joker, oh my!